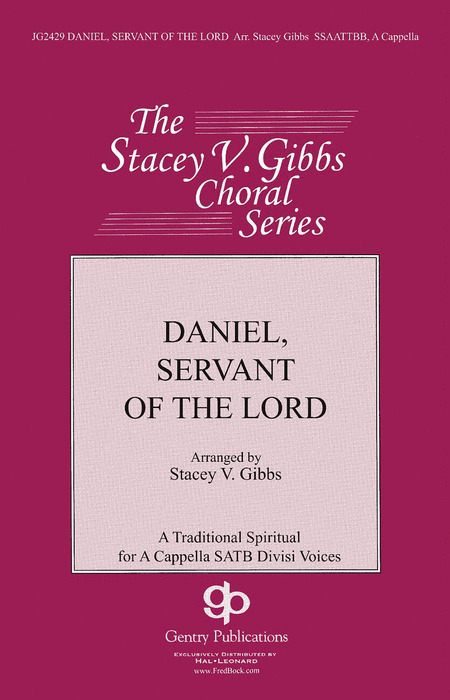 A new setting of the well-loved spiritual by arranger Stacey Gibbs. Gibbs upholds the integrity of the spiritual while still offering some new and unique compositional ideas. Suitable for school choirs and church choirs alike. Jo-Michael Scheibe Choral Series. A tremendously rhythmic and driving setting of this spiritual. Gibbs takes some unexpected harmonic turns throughout, resulting a fresh and unique arrangement. Jo-Michael Scheibe Choral Series. Stacey Gibbs has produced some of the finest choral settings of spirituals over the last few years, and this is without a doubt his best work to date. Choirs will love to sing this instant classic, and audiences will love it even more! Stacey Gibbs's stunning arrangement of the traditional spiritual proves once and for all that two choirs are more fun than one. The thick chord structures, dynamic contrast, and rhythmic intensity collaborate to create an excitement that will be naturally expressed and incredibly well-received. A sprightly, festive arrangement of the favorite Christmas spiritual, this setting will have the audience sitting up and moving to the rhythm. The majestic final phrase will bring them up onto their feet! Stacey V. Gibbs : Hold On! This beloved hymn is set in a stunning arrangement for men. A brief a cappella introduction is followed by moments of beautiful melodic lines and rich harmonies supported by a wonderful piano accompaniment. Want to pep up a worship service, or rouse the audience with a super encore?ÿThis is the piece to do it. There's some fun levity in this good ol' spiritual, especially the part about the choir singer.ÿYou'll have to see the song to know what that's about. Best of all, this arrangement has all of Stacey's stylin' but it's easy, almost all 4-part SATB (only a little soprano divis at the end). For church and school, high school ages and up, easy to medium. Stacey Gibbs pulls out all of the stops with this blockbuster arrangement. The rhythmic vitality of this spiritual makes it a phenomenal closer that your choir will love to sing! Incorporating Albert Brumley's I'll Fly Away and the traditional spiritual, Now Let Me Fly, this exciting arrangement by Stacey Gibbs for women's choirs offers a sophisticated challenge with dramatic results. A perfect selection for festivals and honor choirs. 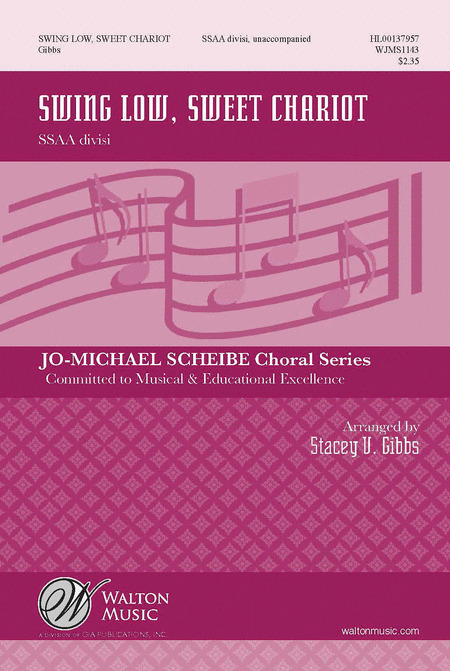 Jo-Michael Scheibe Choral Series. The master arranger of spirituals has created a special rendering of this beloved piece. It has a glorious ending, making it a great closer for a concert or a stunning addition to church repertoire. The spiritual comes alive with a plethora of upbeat rhythms and drama in this lively setting. As can be expected from Stacey Gibbs's spiritual arrangements, a thrilling performance is sure to be given! Another dramatic arrangement from the talented Mr. Gibbs, this selection has great rhythmic drive, lots of interplay among the voices, and a powerful ending. Yes, it really rocks! Stacey Gibbs knows how to arrange a spiritual to yield the maximum audience response. Selected for the Paul Smith Series, the harmonies and rhythmic tosses in this setting are brilliant. The ending builds to a thrilling finish. Great for college, concert, and some outstanding church choirs. Selected for the Paul A. Smith Choral Series, this Christmas spiritual features excellent writing for the a cappella choir, with all the rhythm and vigor to bring the house down. 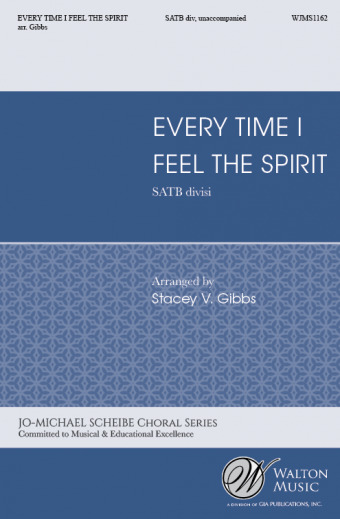 Composer Stacey Gibbs lends his magic touch to this favorite spiritual, giving us a fresh approach that is bound to please both singers and audiences. Stacey Gibbs is known for his fine arrangements of spirituals. What a treat to hear his artistry at work on a classic hymn like Softly and Tenderly. There's a middle section he has created when you can feel his Gospel roots influencing the line, and it is marvelous. Probably more for concert than church due to difficulty level, but it will caress you at either venue. The spiritual settings by Stacey V. Gibbs are quickly becoming the most eagerly anticipated in the genre. 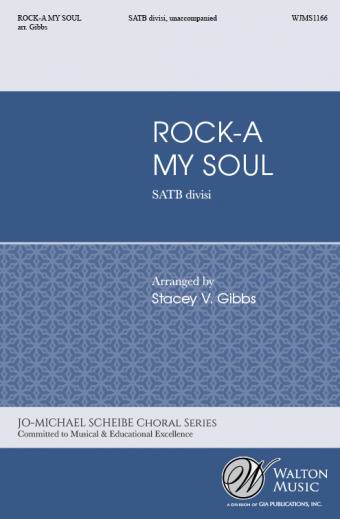 Stacey's grasp of the spiritual runs in his blood, and knowing how to bring sophistication and drama to a choral arrangement is his gift. This piece will serve as the encore or concert closer for high school and college choirs throughout the country. Premiered at the ACDA National Convention 2015, this piece marks the first double choir arrangement for a Spiritual. 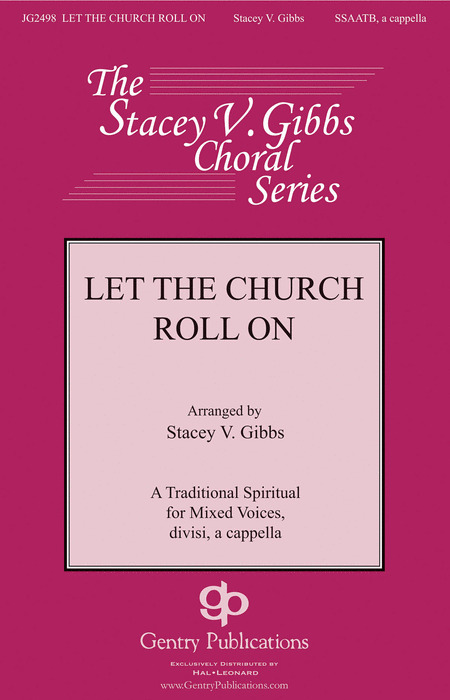 In a few short years Stacy Gibbs has earned the reputation as the most sought-after arranger of Spirituals in the U.S. Stacey's writing is always a pleasure to sing but this one is special, with the antiphonal choirs playing off one another and wailing sounds building a climactic finish. An obvious festival work for school. Medium difficulty. Here's another outstanding Spiritual arrangement from Stacey Gibbs. Stacey always delivers just what you want to hear plus some delightful surprises that exceed expectations. This one rocks through in 4-parts (with an occasional split) with personality and drive. The final section ramps up and offers the exuberant finish that only Stacey can provide. A good school piece for high school, college and community choirs, it will also work well in church. Medium difficulty. Stacey Gibbs uses his talent for reimagining the spiritual to set this beautiful version of Swing Low, Sweet Chariot for women's choirs. Your women's choir will appreciate the exciting challenge of the vocal writing. Great for festivals and honor choirs. 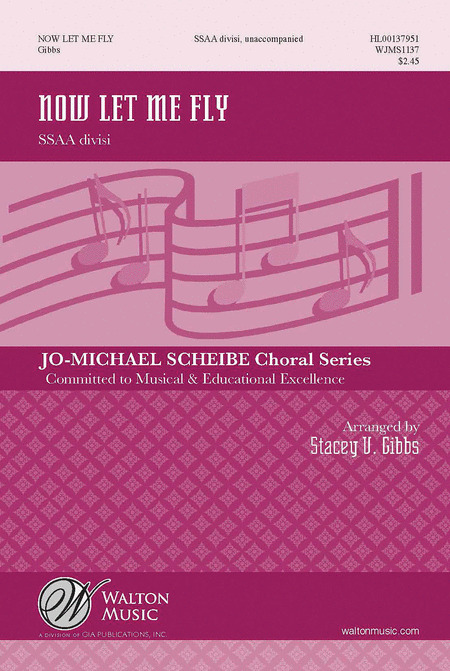 Jo-Michael Scheibe Choral Series. Stacey Gibbs captures the soul of each Spiritual he arranges. The essense of the song is unchanged, yet something new and fresh appears. It is the spiritual we know and love, yet it glistens like never before. 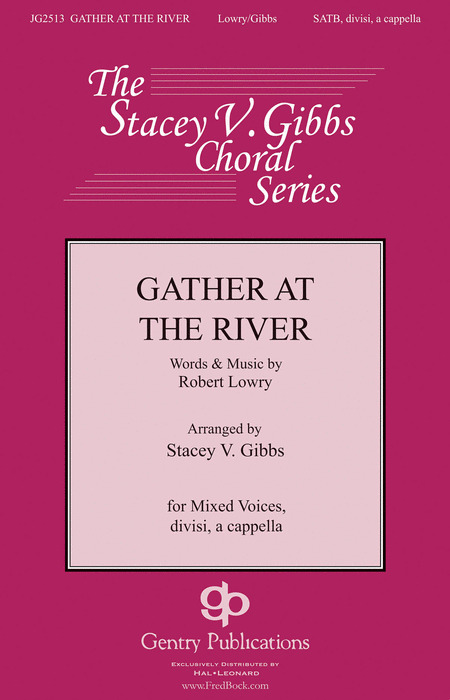 This 8-part setting continues that tradition and is an excellent choice for college or community choirs. Medium in difficulty. 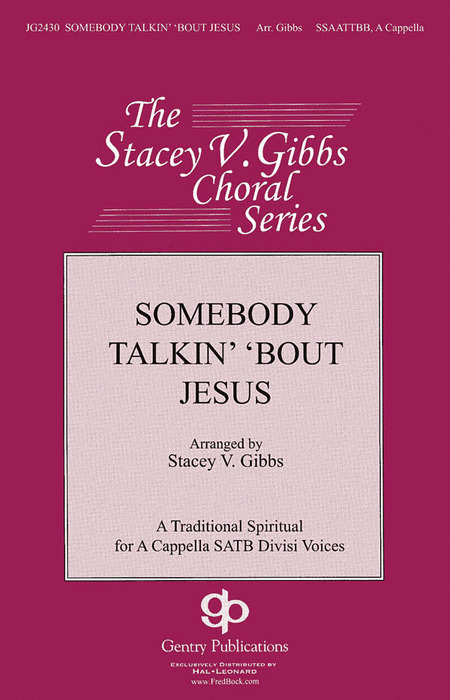 Stacey Gibbs, the undisputed master of Spiritual arrangements, has produced another winner. Bringing us harmonies and rhythms we didn't even know we wanted, we are charmed by his ideas. A great festival piece, concert closer or encore number, advanced high school choirs, college and community choirs will enjoy this selection. Medium in difficulty. Highly acclaimed composer Stacey Gibbs gives this traditional spiritual a refreshing makeover. With rhythmic intensity and harmonic flavor that just won't quit, this exciting selection will resonate with choirs of all shapes, sizes, and backgrounds. 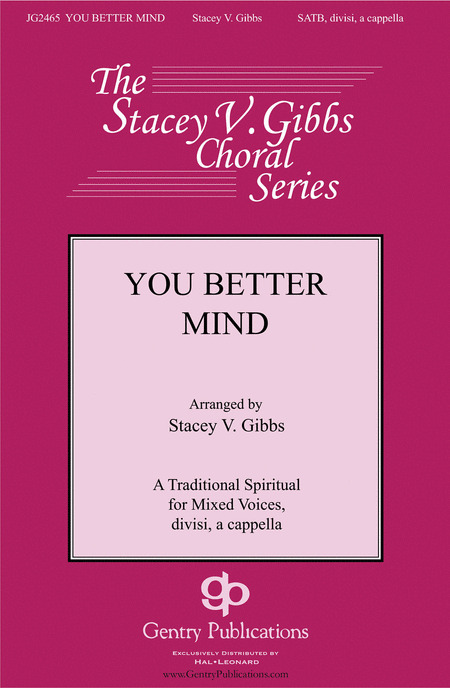 Recently selected as one of the honor choir pieces for the 2007 ACDA National Convention, this arrangement by Stacey Gibbs is crafted for success. Beginning quietly and unassuming, the piece quickly jumps into a contagious tempo and builds and builds to a rousing finish. In the past few years Stacey Gibbs has become recognized as an excellent arranger of spirituals. His settings have been performed at numerous ACDA National and Regional conventions. Witness is one of the most popular spirituals and Stacey's rendition is truly spectacular. Stacey Gibbs has done it again! He's given us a fresh setting of a spiritual that will appeal to high school, college, community, and church choirs. Leaping into a vibrant tempo from the very start this arrangement carries a bluesy flavor as well. Although it has some divisi writing, it is less-complicated than many of his renditions making it especially suitable for high school choirs and festivals.